With our simplified and secured investment, schemes reap what you sow and a little extra too. Get gold ornaments for the rate on the date of investment. Our schemes are customer friendly, flexible and easy to comprehend. With a smaller installment rates, gold investments are no more a hurdle. The security and ease of handle make our investment scheme most sought after. Moreover, we facilitate easy payment at all Federal Bank Branches across India. Realising that gold is indeed a true investment, we bring to you the Bhima Gold Tree, a gold purchasing plan. The Bhima Gold Tree is one of our most prestigious schemes. The scheme is instituted to insure against the risk of fluctuations in gold rates in the international market. 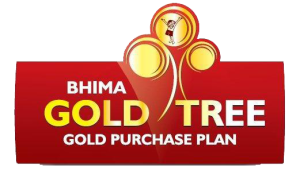 The Bhima gold tree undertakes to give the maximum return for your money. The essence of the scheme is that it is very customer friendly. The member of the plan invests a sum of money in installments, each month. Choose your location to find available investment plans.